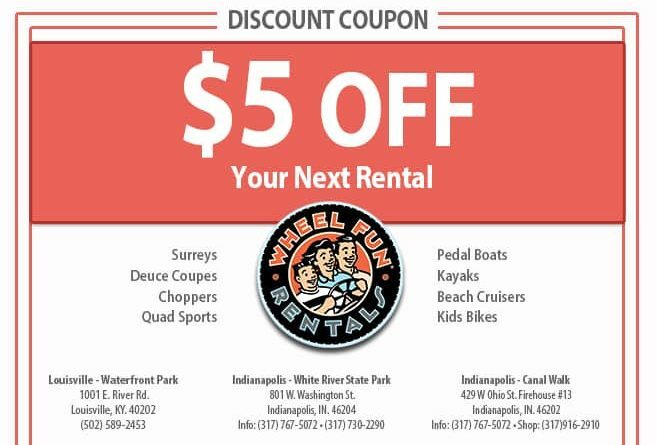 Get $5 off your next bike rental! Good on all of our products. Must present coupon at time of purchase. Good only at the locations listed on the coupon. Must present coupon at time of purchase. Not valid with any other offer. Valid only at listed locations.